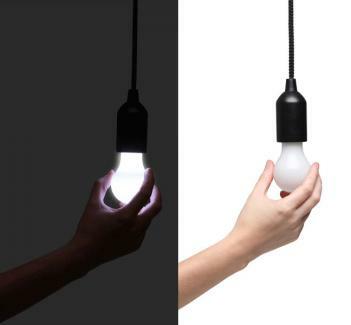 The Tuggit Pullbulb is a battery operated single light bulb that is attached to a rope, and to turn it on, just give it a little tug as if you were browsing in incognito mode, and to turn it off, just give it another tug. But won't I burn my precious little fingers if I tug on a magma hot light bulb? No dummy! It's battery operated and has it's own special little light bulb made of plastic, so it doesn't get hot. 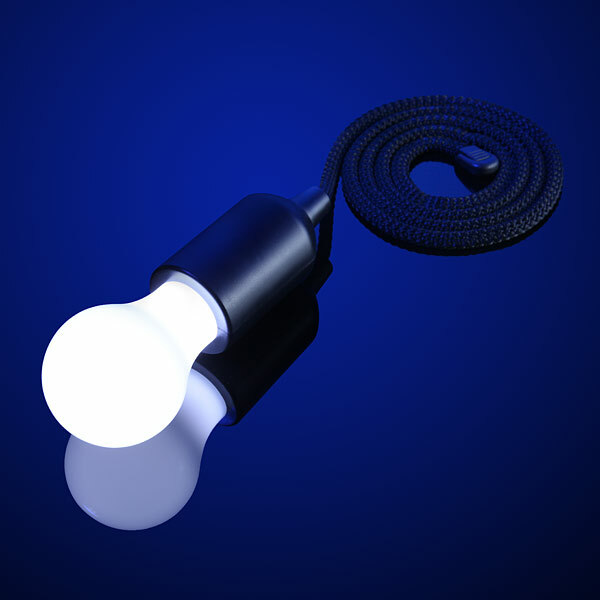 The hanging light bulb is attached to a 4 foot long nylon rope, that you most likely would attach to your ceiling, and is powered by 3 AAA batteries, which of course are not included.